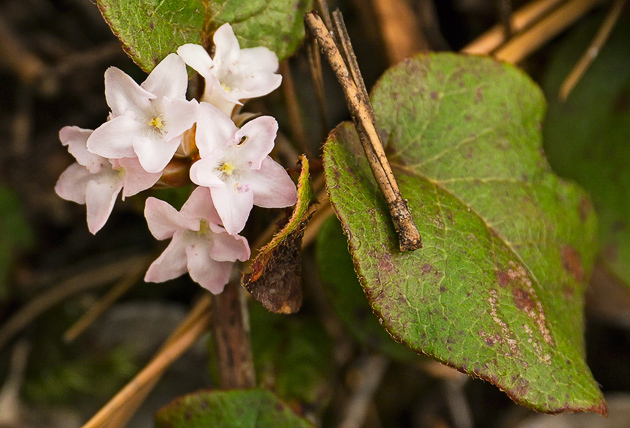 Trailing Arbutus (Epigaea repens) is one of the earliest wildflowers to bloom in the Smoky Mountains. All of the photos on this page were found near the top of the Chestnut Top Trail, starting to bloom in mid-March. The blossom tends from white to pale pink. 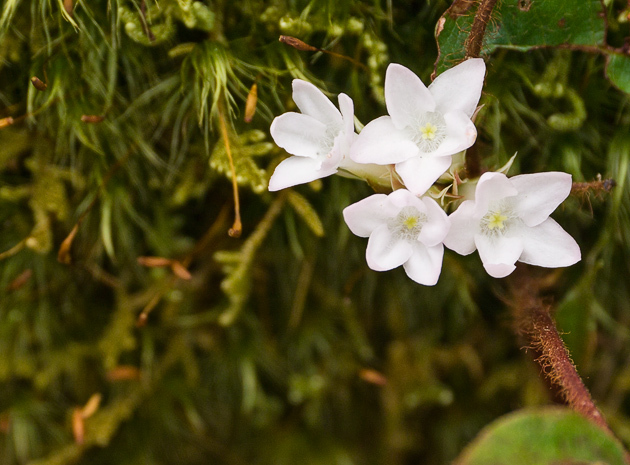 There are also good displays of Trailing Arbutus along the trail to Spruce Flat Falls as well as the Abrams Falls Trail. All of these trails offer great opportunities of Smoky Mountains photos of wildflowers. This wildflower forms a low-growing shrub-like evergreen which sheds and replaces its leaves in the spring after the bloom. 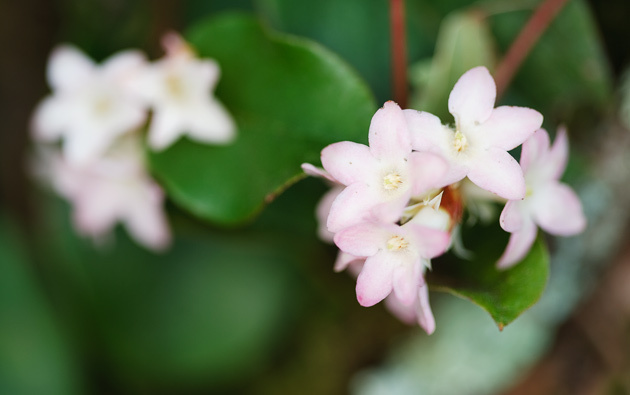 The delicately scented blossom was used by mountain women as a perfume. Please stop in for a visit at the William Britten Gallery in Gatlinburg, TN to see the complete display of Smoky Mountains Photos. And if you are a fan of Smoky Mountains wildflowers, please consider joining my wildflowers page on facebook. We feature photography and information on bloom sightings.